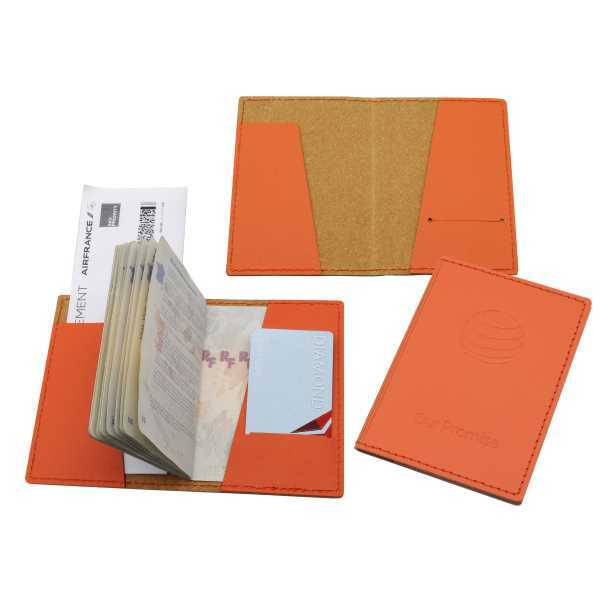 Let your brand promote international travel with this passport cover! Measuring 4" x 5 3/8" and available in a wide array of colors, this handy and eye-catching case is made of leather and features two inside flaps, as well as either matching or contrasting saddle stitching. An ideal giveaway for airlines, travel agencies and so much more, it can be customized with an imprint of your company logo and message. Put your brand on a product that will travel the world! Size: 4 " x 5 3/8 "
Price Includes:1 color / 1 position imprint or blind deboss.